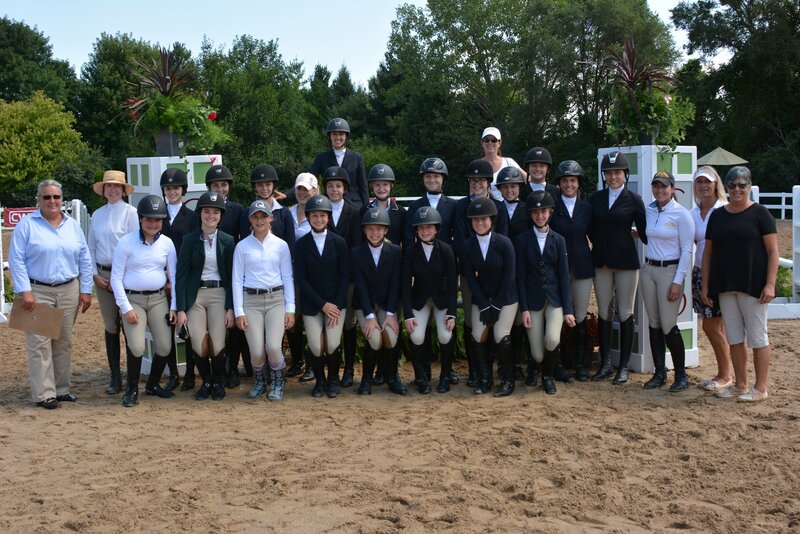 The 2016 Galway Equitation Classic group enjoyed a weekend of food, fun and education. Long Grove, IL – August 17, 2017 – Galway Farm welcomes auditors to the Galway Farm Equitation Classic August 18-20, 2017 at Galway Farm in Long Grove, Illinois. The audit fee of $50 includes food and access to all the events. There is a discount for groups with a reservation. Galway Farm welcomes Annalise Simsek from Ride Train Elite, who will educate the group on sports nutrition on Saturday afternoon. Title sponsor EQUO-US hosts our Mexican Night on Friday and a delicious champagne brunch by North Shore Catering on Sunday. See the schedule below for approximate times and events. The clinic offers three fence heights, 2’6”, 3’ and 3’6”. Friday and Saturday feature a clinic with Diane Carney and Sunday is the finals format horse show event.